For those who love their leather and want to keep it in pristine condition, we have created our own 2-part cleaning kit from all natural ingredients. Our leather cleaner is a specially pH balanced cleaner that is formulated to remove dirt, surface stains, and other contaminants from your leather. It is made from all natural plant-based ingredients in the USA. This cleaner will lift away stains, inhibit mold & mildew, and leave no residue, all while being gentle on the leather finish. Simply spray on a soft cloth (not directly on the leather) and gently scrub in circular motions to lift contaminants. Then, with a dry cloth, wipe away any excess liquid. Allow to completely dry before applying the conditioner. Our leather oil is a rich conditioner that is easily absorbed, deeply conditions, and restores the leather's luster. It will refresh the already stunning leather to have that special glow. 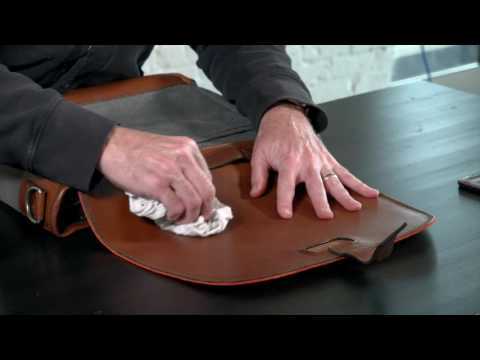 Simply use a soft cloth to apply a thin coat directly onto the leather. Work into the leather and seams using small circular motions for deep conditioning & waterproofing. Avaliable on it's own or as part of a kit.